Tuesday April 16, 2019 – This morning, there was word that an employee of Nairobi Hospital died of cholera. According to a source, the employee, who was working at the Catering Department died on Tuesday morning after complaining of severe stomach ache. The source who requested anonymity said seven other employees are ill and the hospital kitchen has been closed. “I have just seen him at the morgue and it's so sad," the source said. The hospital, however, dismissed claims that it was experiencing an outbreak. 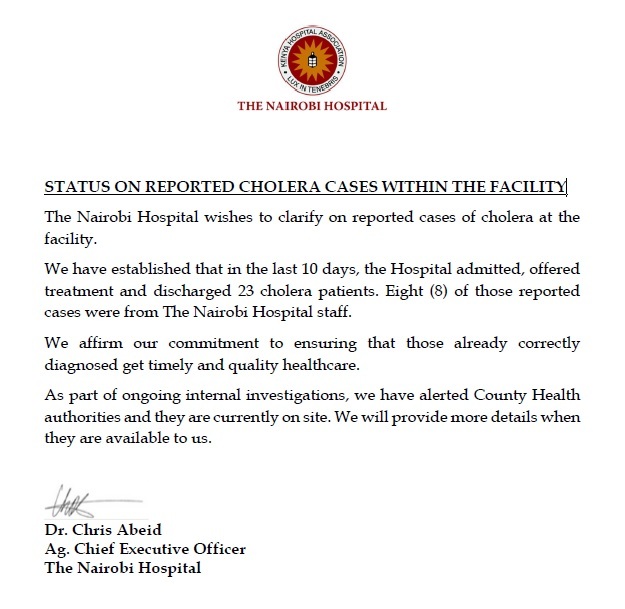 In a statement to Kenyans, the management said the hospital had admitted several cases following an upsurge in the County. 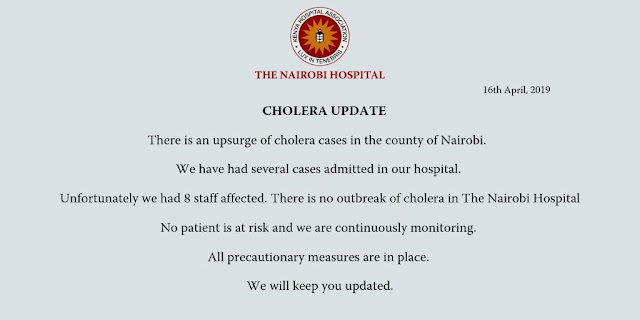 However, the family of one of the victims said it has confirmed that there is a cholera outbreak at the hospital and some staff members have been admitted at the hospital. 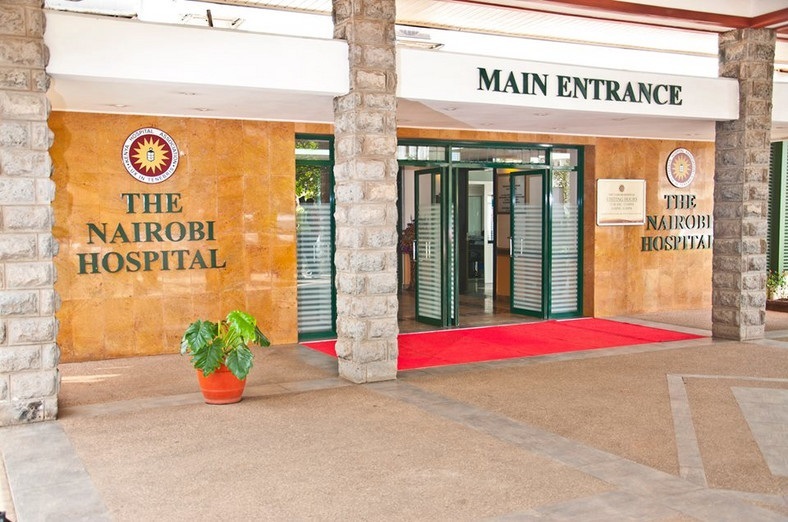 Nairobi Hospital is one of the best healthcare facilities in Nairobi and senior leaders in the country always visit the hospital. Two weeks ago, former President Daniel Moi was admitted at the hospital. It is not yet clear whether Mzee Moi is still at the hospital or he was discharged.